University of Houston Law Center alumnus Jim Thomas ’11. Feb. 11, 2019 - With an engineering background, and newfound ability in technological writing, Jim Thomas, a 2011 graduate of the University of Houston Law Center changed careers and put both skill sets to use practicing patent law. Thomas graduated from the University of Texas with a bachelor’s degree in electrical engineering in 2003. He also earned a master’s degree in electrical engineering in 2005 from the University of Houston. He performed well in math and sciences courses growing up and knew he wanted to be an engineer from a young age. Despite doubting his writing skills into his adult life, once he began work as an engineer Thomas discovered an ability to write which he thought eluded him. With his newfound aptitude for technical writing coupled with his extensive knowledge of engineering, Thomas realized that patent law, a field which requires a thorough comprehension of technology, suited him well. He decided to attend law school and was drawn to the Law Center for its part-time program. When reflecting on his most memorable courses at the Law Center, Thomas pointed to professors Richard McElvaney, Greg Vetter, and Ronald Turner for giving him practical knowledge that he applies in his day-to-day work. Participating in the International Law Journal and Negotiation Competition were among Thomas’s favorite activities during his time at the Law Center. Working closely with others, learning about law, and developing invaluable skills prepared him for his future as an attorney, and left him with priceless law school memories. These activities encouraged Thomas to break out of his comfort zone, interact with relevant policies, and learn how to navigate law. After seven years of diligent work in the world of patent law, Jim Thomas has been recognized for his dedication to the field and promoted to shareholder at the Fletcher Yoder law firm. “To join the ranks of some pretty remarkable people that are already shareholders is really humbling and just really feels like an honor,” Thomas said. 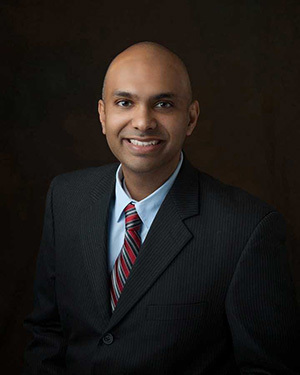 After graduating in 2011 and beginning his career as a patent attorney, Thomas involved himself in the Texas Minority Counsel Program and the Asian Pacific Interest Section of the State Bar. His motivation to volunteer stems from McElvaney, who reminded his students that their law degrees should be used to genuinely help others. “He implored us to not to squander that opportunity and to make the most of it,” Thomas said. “Those words really provide a lasting sense of duty to try and help others with the law degree that I have.